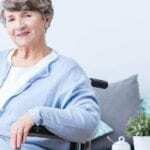 High industry turnover rates and an exploding need for professionals to care for the aging Baby Boomer population increase employment opportunities for Certified Nursing Assistants in Connecticut. Due to ease of entry into this area of healthcare, many workers choose this route to start a career in health and further their studies to become a licensed nurse. A CNA in Connecticut must complete at least 100 hours of classroom and clinical instruction in a state-accredited program before applying for approval to take the Connecticut State Certification Exam. CNAs work under the direction of a licensed practical nurse or registered nurse in nursing homes, hospitals, patients’ homes, and clinics. Capital Community College’s Nursing Assistant Certificate program is the first program to be awarded college credits in Connecticut. Graduates will be eligible for 3 credits from Capital and 4 credits from Charter Oak State College. The program is a 141-hour part-time course that includes classroom and skills laboratory instruction at the college and clinical experience at a local skilled nursing facility. It is available as an 8-week day course or 11-week evening course. Admissions require applicants to be 17 years or older, take an assessment test for reading and math (applicants with college experience may skip this requirement), and complete a physical exam, TB screen, and immunization record and flu vaccine. The tuition is $1,219 and includes state competency testing and the textbook and workbook. The cost of uniforms, travel to the clinical site, physical exam, and CT Nurse Registry application is the student’s responsibility. The American Red Cross equips students with the skills to provide quality care for residents in nursing homes. They also receive the supplemental care to attend to patients in their own homes and at hospitals. The 100-hour program features 76 hours in the classroom and 24 hours of clinical practice at a skilled nursing facility. It is available in a day or evening format. The day class meets for four weeks from Monday to Thursday 9:00 am to 3:15 pm (for the first three weeks) and Monday to Thursday 8:00 am to 2:00 pm (during the final week). The evening class meets for six weeks from Monday to Wednesday 5:30 pm to 10:30 pm (for the first five weeks) and 5:00 pm to 11:00 pm (for the final week). Students learn the proper way to transfer patients, the basics of personal care, taking vital signs, how to respond to emergencies, and assisting patients with feeding and nutrition. Applicants must be 16 years or older, attend an orientation and pass an admission test, complete a physical with no restrictions to lifting or bending, take a TB test, and present a current photo ID. Students must pass a National Criminal Background Check. The course fee of $1,250 covers the textbook and completion certificate. The Nurse’s Aide program at the American Institute provides students with adequate opportunities to acquire the knowledge and skills to perform basic nursing. The curriculum will cover mental health, personal care, social service needs, medical terminology, restorative services, care of the cognitively impaired, and safety and emergency procedure. It will also include promotion of resident’s rights, infection control, and communication and interpersonal skills. 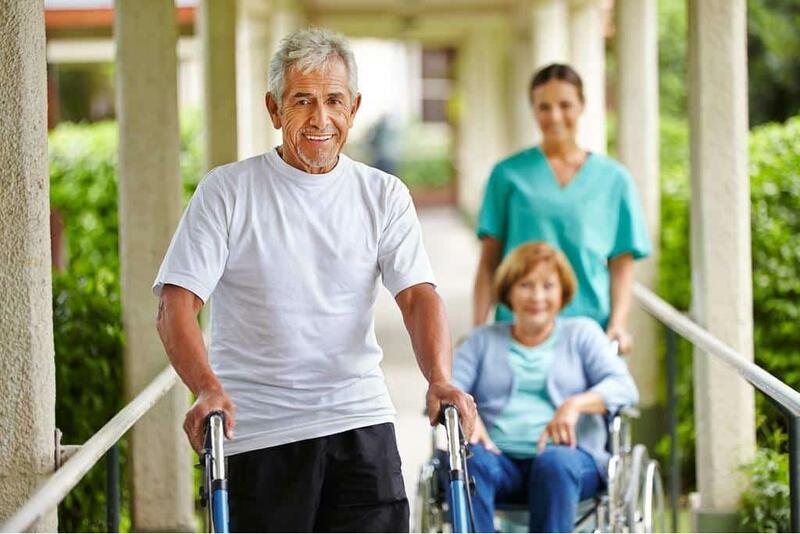 During the clinical experience at a skilled nursing facility, students will take and record vital signs, grooming and dressing residents, toileting, range of motion, and assisting with eating and hydration. There are 100 hours total in the program divided into 70 hours in the classroom and 30 hours at the clinical site. Note that the length of the program pertains to graduating in normal time. The state exam is conveniently offered on campus for the program’s graduates. The program is available in day, evening, and weekend schedules, giving students the flexibility to manage work and study demands. The estimated program cost is $1,325 including tuition, application fee, registration fee, supplies, and textbook. The American Institute locations in Clifton, NJ, Toms River, NJ, and West Hartford, CT, are accredited by the Accrediting Council for Independent Colleges and Schools (ACICS). For more information about our graduation rates, the median debt of students who completed the program, and other important information, please visit our website at, www.americaninstitute.edu/consumer-info. The Patient Care Specialist program at Stone Academy includes certified nurse assisting as a component of the program, but also equips students with a wide range of other skills to become highly qualified members of the medical team. Hospitals today consolidate a lot of the front-line patient care roles into the role of the Patient Care Technician. The program, therefore, seeks to prepare students for employment in a wide range of medical environments. Students learn the 25 skills necessary to become a CNA, but they also benefit from an introduction to specialized patient conditions, including Alzheimer’s disease, dementia, end of life care, cancer, and rehabilitative care. Instruction in phlebotomy, CPR, first aid, and EKG technology also prepare graduates to function competently in a hospital setting. Graduates earn 28 credits and are eligible to seek certification as a CNA and HHA. The program is offered in day and evening formats covered in 3 8-week terms. Tuition costs $5,025. Educational Training of Wethersfield admits 10 to 12 nursing assistant students per cycle. The program’s schedule is a full-time, allowing students to complete the training requirements in just two weeks. Class times are from 7:00 am to 4:00 pm Monday through Friday. A part-time schedule is also available. Class times are 5:30 pm to 9:30 pm Monday through Friday for 10 weeks. Graduates are eligible to take the CT licensing exam on-site at the Wethersfield campus – an additional cost of $110 applies. The course tuition is $895, including books. A weekly installment plan is available to all students. The nursing assistant program covers a wide range of topics including personal care and proper positioning of patients. Students learn about abuse and neglect, infection control, dementia, body mechanics, catheter care, and recognizing depression. The 100-hour curriculum is divided into 60 hours in the classroom and 40 hours to work in shifts at a clinical site. Applicants must be 16 years or older with valid identification. Minors will require parental consent. All applicants must be able to speak, read, and understand English. A physical exam, conducted within the last year, and PPD results, not older than 3 months, are also necessary for admission. The program cost of $1,200 includes tuition, registration fee, blood pressure cuff, gait belt, stethoscope, textbook, and two full set of scrubs.